Sony Xperia 10 Plus review: Should you go 21:9 in 2019? 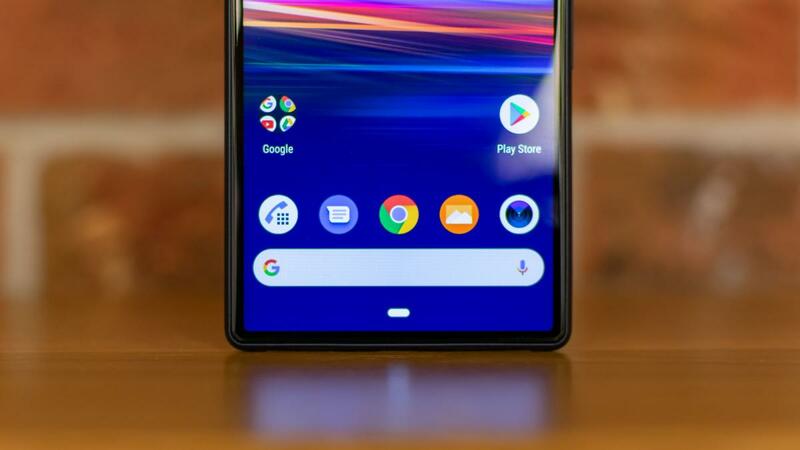 Plus-sized smartphones often find themselves trapped in a plus-sized niche, but Sony’s Xperia 10 Plus is different to most. This time around, it’s ready to steal the spotlight from the regular Xperia 10 – not just because it’s bigger in size, but because with beefed-up internals and a slightly-tweaked camera arrangement, the Xperia 10 Plus should blow its regular-sized sibling clear out of the water. What they both have in common, though, is a brand new aspect ratio. If you thought current phones were too tall, then you haven’t seen anything yet. Both Xperias are fitted with a new 21:9 aspect ratio screen. These Xperia 10 siblings are the first of Sony’s new phones to use this elongated display, along with the pricey Xperia 1 flagship launching later this year. This particular screen measures 6.5in across the diagonal, rather than 6in on the regular phone, though it has the same 2,520 x 1,080 resolution. There are a few key differences between the two models. To begin with, the Plus is powered by a Snapdragon 636 processor and 4GB of RAM, rather than Qualcomm’s’ lightweight 630 chipset and 3GB. 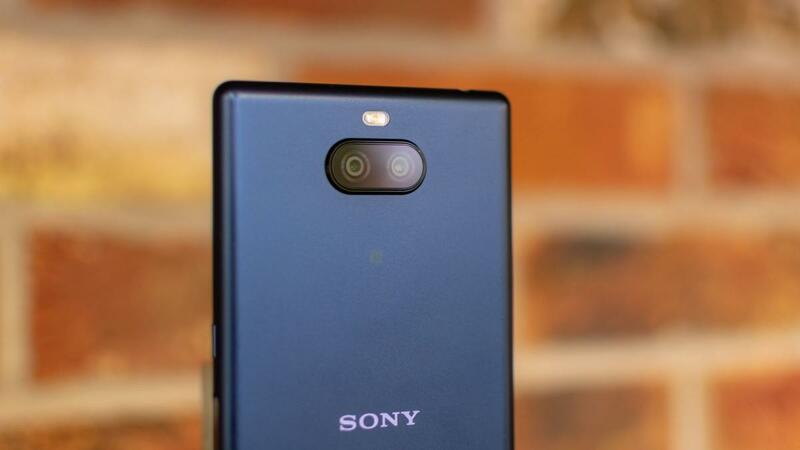 A slightly bigger 3,000mAh capacity battery also keeps things ticking along, while the primary 12-megapixel camera sits next to a 2x optical zoom, 8-megapixel sensor, in lieu of the secondary depth-sensing unit on the regular Xperia 10. Obviously, these upgrades will make a slightly bigger dent on your wallet. Should you decide to pick up the Xperia 10 Plus rather than the basic model, it’ll set you back £349 – a £50 price jump. That’s not too much of an increase considering the Xperia 10 Plus’ long list of improvements, which I’ll go into more detail later in this review. The problem is, the Xperia 10 Plus is up against some seriously strong competition at this price. Aside from the regular model to think about, there’s also the rather swish Nokia 8.1, with its superb dual-camera arrangement and Android One credentials. The BlackBerry Key 2 LE is another solid choice if you’re after a physical keyboard, and the Moto G7 Plus, our current budget favourite, is substantially cheaper. As you might expect, the new aspect ratio really does dominate the first impression. And although this is a 6.5in handset – theoretically the same size as the iPhone Xs Max – it doesn’t feel half as difficult to hold, because it maintains a similar width to the current phones we know and love. The iPhone comparison is interesting, because you may remember Apple’s advert for the iPhone 5 where the company suggested that those with bigger screens were essentially fighting against the shape of hands. That’s definitely something to be wary of here. You won’t be able to touch the top of the screen without limbering up your thumb first, let’s just put it like that. Is that a problem? Well, not necessarily, but it isn’t a phone I’d recommended splashing out on without giving it a go in person first. Of course, the tall screen has its advantages too. As Sony points out, 69% of movies on Netflix are shot in a 21:9 aspect ratio. You can also see a lot more, if the software supports it, which is a fairly big ‘if’ given Sony is currently ploughing its own lonely furlough in the 21:9 space. Whether people care enough about a true cinematic experience on a device that’s 6.5in in size, and sacrifices usability a little bit, is an open question. You won’t be sacrificing looks, mind. Although clearly still in the Xperia family (read: it’s a bit more angular and blocky than other phones), the Xperia 10 Plus is certainly handsome enough. The screen covers most of the front of the device, barring a very small chin and a slightly larger forehead bezel where the front-facing camera sits, negating the need for a notch. As for the quality of that stretched-out screen, well, its specifications hardly scream great potential. This is an IPS panel, after all, so you can’t expect similar results as its OLED rivals, and its rather bog-standard Full HD+ (2.520 x 1,080) resolution isn’t really worth shouting about, either. In our technical tests, the Xperia 10 Plus’ screen didn’t come off quite as well as its cheaper counterpart. Our ColorMunki display colorimeter recorded an average sRGB colour gamut coverage of only 77% and a Delta E of 2.72, reflecting quite a few colour inaccuracies across the palate, most notably with undersaturated red, pink and green tones. In practicality, the screen looks a bit dull and washed out, although this is far from the worst-looking smartphone display I’ve tested. There are a few positives to be found, though. A blinding maximum brightness of 577cd/m2 is well-suited for sunny conditions, and the phone’s contrast ratio of 1,492:1 ensures text and images look as pin-sharp as can be. It’s just a massive shame about those iffy-looking colours, otherwise the Xperia 10 Plus would have scored full marks here. The biggest difference between the two Xperia 10 phones is power. The 10 Plus is equipped with the Qualcomm Snapdragon 636 processor and 4GB of RAM, compared to the 10’s Snapdragon 630 and 3GB. In short, it’s the difference between the recent Moto G7 Plus and last year’s Moto G6 Plus, which also happen to use the same chips as the two new Xperias. There’s something quite worrying in that last sentence though, and if you spotted it then top marks for paying attention. Here it is more explicitly: Sony is charging £350 for a phone that uses the same chip as a handset that costs £269 – the Moto G7 Plus. Consider also that you can get a Xiaomi Pocophone F1 with a Snapdragon 845 processor for about the same price, and the Sony Xperia 10 Plus begins to look a tad underwhelming. Its benchmark scores aren’t exceptional either, even if they represent a serious improvement over the smaller phone. 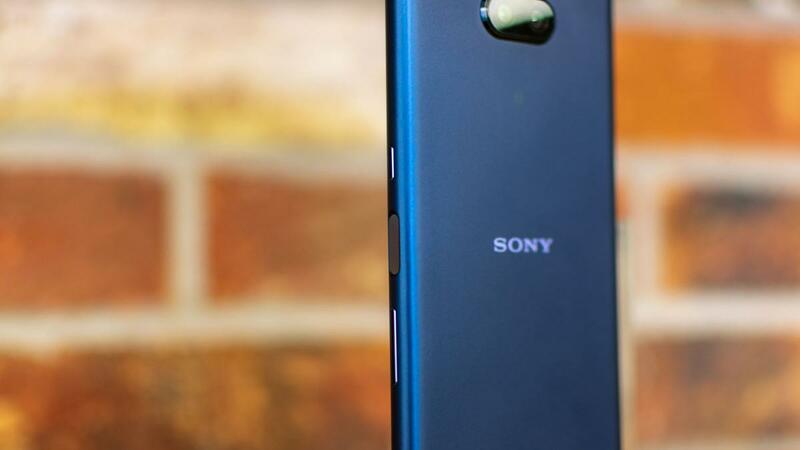 In the demanding Geekbench 4 CPU test, Sony’s plus-sized phone achieved an overall multi-core result of 4,909 – a massive 20% jump when compared to the Xperia 10. Regardless, this still puts the Xperia 10 Plus behind some rather strong rivals, although I certainly wasn’t tearing my hair out in frustration with day-to-day use. It’s a similar story when it comes to gaming performance, as the Xperia 10 Plus only managed to reach an average frame rate of 13fps in the GFXBench GL Manhattan 3.0 on-screen test. In real-world terms, you won’t achieve playable framerates with graphically-intensive games such as PUBG Mobile or Shadowgun: Legends, although simpler 2D titles such as Florence or Wordscapes should run without too many hiccups. Thankfully, the larger capacity battery on the Xperia 10 Plus has improved the phone’s stamina quite a bit. 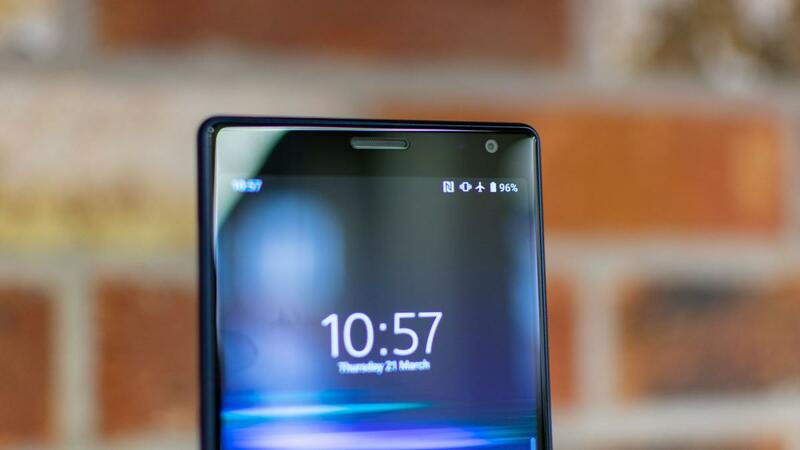 Where sub-par battery life was the 10’s biggest drawback, the Xperia 10 Plus lasted a total of 13hrs 2mins in our video playback test before requiring a top-up. As for the phone’s camera setup, there’s a dual array setup on the back, much like on the smaller 10. But whereas the 10 comes with a 13-megapixel camera, supported by a 5-megapixel depth sensor, the 10 Plus is a 12-megapixel camera supported by an 8-megapixel 2x optical zoom affair. To my mind, the ability to take pictures from further away is far more useful than being able to blur backgrounds for done-to-death arty Instagram shots. So, how about that image quality then? Well, the Xperia 10 Plus is quite good at taking still images in bright, sunny conditions. Colours are captured as good as you see them, there’s plenty of detail even with objects hidden away in the background, and it seems to do a decent job at handling noise suppression. The phone’s HDR mode successfully brightens shadowy areas, although there’s a rather brown-looking tinge to images taken with HDR enabled. The same can’t be said about the Xperia 10 Plus’ low-light capabilities. Here, the cheaper Moto G7 excels, with its wide aperture sensor picking up greater amounts of detail as the light dims, with less evidence of visual noise. You can see from my test shots that the G7 did a better job at brightening up the image, without losing any intricate details. Once again, the video quality is top notch. Slow-panning footage looks nice and stable, almost as though you’re using a professional gimbal. Everything looks crisp and clear, even in low-light conditions. Tally up the scores, then, and it’s clear that the Xperia 10 Plus is the better of the two phones. Not only does it address the regular-sized model’s laundry list of criticisms, but it also brings itself closer in line with similarly-priced competitors. If you’re dead set on picking up a Sony phone when your contract runs out, then this is where your wallet should be headed. I must try and convince you to look elsewhere, though. Sure, Sony’s mid-range handset does the job, but there are countless other smartphones for the same money that do things better than this. The Moto G7 Plus offers identical-levels of performance for a much lower price tag, while Xiaomi’s Pocophone F1 is a proper flagship alternative that delivers astonishing value for money. If Sony wants to beat that kind of competition, it’s going to have to try even harder.